Chart of Overtone Series on a Natural Scale for all Keys. 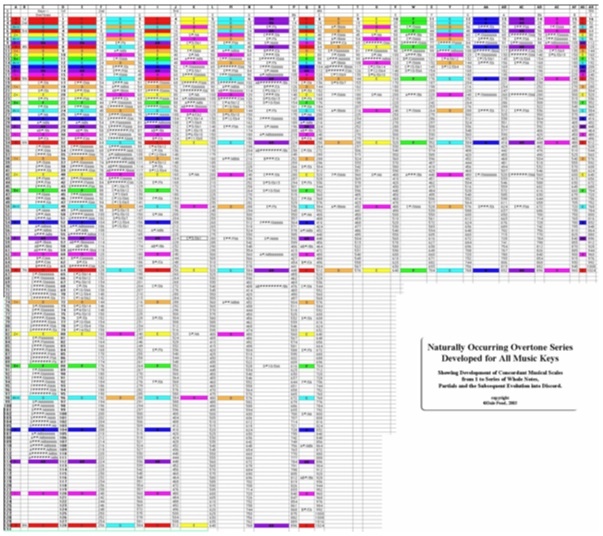 This color coded chart shows naturally occurring overtones for all keys in a natural scale. Chart shows colors, notes, frequencies and corresponding Russell Locked Potential tones. Printed and trimmed on #37 paper at 27" X 24".